For those unaware, Game Boy Advance games are required to be played through browser-based emulators. While dedicated gamers struggle to find a legitimate platform, there are a few websites that offer this option, although without permission. GitHub, a platform for source-based code management, hosted a repository link on https://jsemu3.github.io/gba/, that allowed gamers access to multiple Nintendo titles including Advance Wars, Dragon Ball Z, Super Mario Advance, Pokémon Mystery Dungeon, and Legend of Zelda among others. It further adds, “Please disable public access to the repository at https://jsemu3.github.io/gba/. The repository provides access to unauthorized copies of Nintendo’s copyright-protected video games in violation of Nintendo’s exclusive rights”. GitHub complied with the request and removed the offending repository from its platform soon after. The emulator is no longer available through the site. 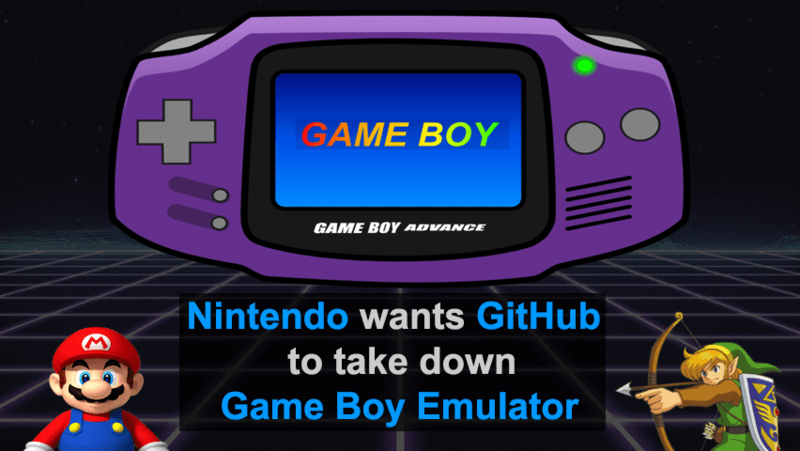 According to TorrentFreak, Nintendo is currently considering legal action against the owner of the infringing GitHub repository. “We are considering action regarding those matters but are not including them in this notice,” Nintendo writes. Apparently, Nintendo has already filed lawsuits against two ROM-hosting websites, LoveROMs and LoveRETRO for copyright infringement. In response to Nintendo’s legal action, LoveROMs has closed down completely, with a message on the site informing visitors that “LoveROMs has been shut down”. While LoveRETRO initially responded by removed all Nintendo games, but it too has now “shut down until further notice”. Well Nintendo is killing their Merchandise since Game Boy Advance doesn’t sell anymore most of us use the Emulator due to not find the GBA or Games itself so Good Job Nintendo Keep killing yourselves!